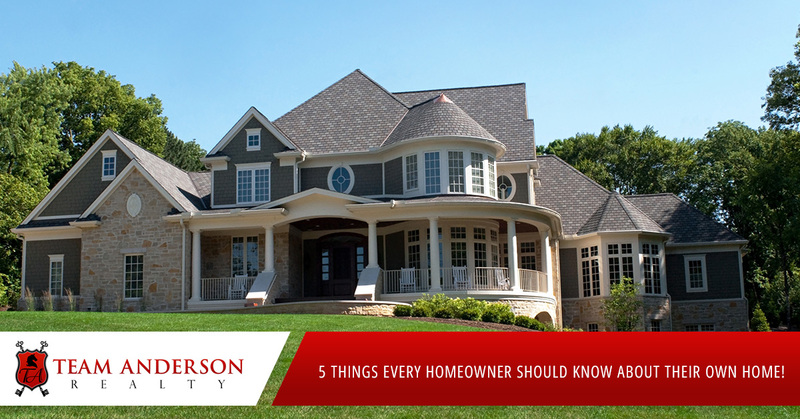 5 Things Every Homeowner Should Know About Their Own Home! When buying a home, most homeowners expect to live in their new home for a long time, so it pays to learn about the home as soon as possible. As your home takes care of you (keeps you warm, safe and with a roof over your head), you should know all about your home! Neglect your home, and there could be consequences later in the form of floods, electrical outages, and worse! Imagine you’re in your home where water is a feature (bathroom, kitchen, laundry room), the are all connected by a network of pipes that come from your main water source. If any of those pipes spring a leak, it is important to be able to shut off the water quickly until it can be fixed. Every home is different, but likely, the main water valve is near the perimeter of the house, at ground level, near your water meter. If the water pipes are visible (in the basement, for example), follow them until you reach the main inlet and valve. It is possible your shut off valve could be in a crawl space, closet or somewhere out of the way, but it should be in plain sight. Be sure to ask the previous home owner before you move in or check the home’s blueprints for a clue. 2. Where if your circuit box, and is it properly labeled? A circuit box is your house’s bodyguard against sudden spikes in electricity that run through the wires. Know your circuit box! It may help you avoid hiring a technician for simple electrical issues. Most circuit boxes are located in a houses’s basement, but some are also found in garages or utility closets. The switches inside correspond to rooms and sets of outlets in your home. Hopefully, they are labeled properly – and if not, make it a priority to fix the labels to avoid a guessing game every time you need to turn your power on and off. If power suddenly goes out in a room (usually because you have too much plugged into one outlet), you can identify the tripped circuit by the switch that is flipped in the opposite direction as the others. 3. What is a thermocouple, and do you know how to change it? When your furnace goes out, you’ll be left in the cold – but not if you know how to change its thermocouple. This is the part of the furnace that shuts off the gas if your pilot light goes out, preventing gas from seeping into your home. If the furnace won’t stay lit, there’s a good chance you have a faulty thermocouple. Learning how to replace or adjust yours can be the difference between a $10 trip to the hardware store and a $90/hour visit from a technician. Most thermocouples are held in place by brackers, which can be gently unscrewed to insert the replacement thermocouple. Keeping a spare thermocouple on hand during the winter is a good idea because furnace problems can be more inconvenient (and costly) during the peak times of the year. 4. Where are all your filters, and when was the last time they were replaced? Lots of appliances in your home have filters. Any device that conducts air or water should have some sort of filter in place to remove impurities and articulates. Changing these filters routinely can save you money and keep you safe. Furnace filters should be replaced every two to three months; HVAC, ice maker and water dispenser filters must be changed at least once a year. That varies based on the manufacturer, so be sure to check your maintenance manual and not let it slide. 5. Does your home have a sump pump, and do you know how to maintain it? A sump pump is a pump installed in certain basements and crawl spaces to keep these areas dry, by collecting water that tries to seep in. They are especially common in regions where basement flooding is an issue. Without a sump pump, the invading water can result in thousands of dollars in damage. Sump pumps are relatively easy to maintain. Check both lines, in and out, to make sure they’re not clogged with debris, and make sure the float component (the little bob that floats upward when water begins to fill the sump pit, activating the pump) can move smoothly.